M-life, or Something Like That. On our camping trip to Mt. St. Helens we were dismayed to discover that after only a few pictures, our camera's batteries died. It was the perfect occasion to try out my new camera phone! Check out this one of Dunn carrying Luke and this one of Emma and her new friend. Not bad for a phone, eh? Rachel and I took the troop on a weekend getaway to Mt. Saint Helens National Volcanic Monument. It was the first time we’ve ever taken all of the kids—in fact it was the first time Ray and I have ever been camping together. That seems hard to believe but she has always stayed home with Emma and Luke before. 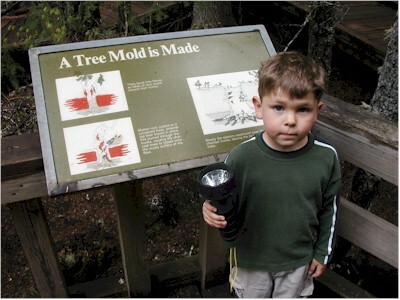 Continue reading A Tree Mold is Made. This is my favorite picture of the graduate. Continue reading Oh Happy Day!. This page is a archive of entries in the Photographs category from May 2004. Photographs: April 2004 is the previous archive. Photographs: September 2004 is the next archive.